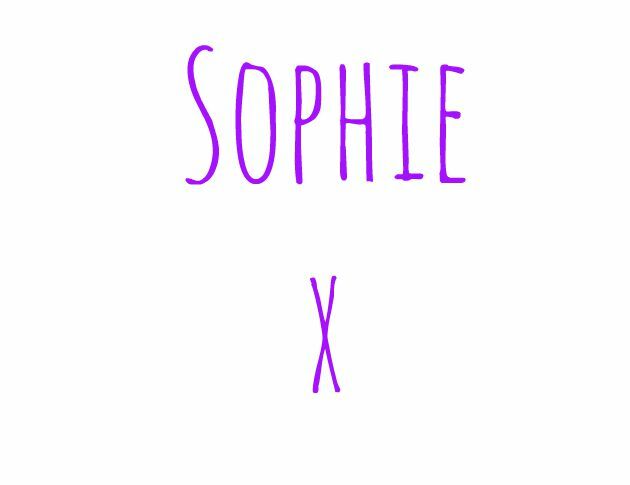 This blog is going to be different to my usual reviews as it’s a bit more personal. If you’ve read my ‘about me’ then you will know that I have depression and anxiety, two conditions which have been a constant throughout my adult years. Since I was 17 I have been on and off many types of medication, seen more than a handful of psychiatrists and counsellors, and experienced terrible lows as well as knowing great happiness. For the last year I have been staying away from medication, I don’t think that it helps my condition and I can’t deal with the side effects. I have also found a great counsellor who doesn’t solely focus on cognitive behavioural techniques which I can already do for myself. I’d like to say I am feeling better but to be honest I just don’t know what the next day will bring. Those of who have experienced similar things may know this feeling, waking up one day and just knowing that the depression will sit with you all day. Hearing those negative voices and having to fight them to get out of bed. When I say to my friends and family that I am tired this is why. I don’t work long hours, I don’t exhaust myself through exercise, and I am in a constant battle with myself to stay as a whole person. I no longer say that it’s a battle to stay alive, which is an improvement, but I am still battling to get up, to live in the world instead of in my head, going over everything I’ve ever done and judging myself. It’s a struggle, and I’m never happy with myself. I forced myself to finish my degree, I didn’t want to fail at something I’d invested in but I wasn’t always able to attend class and I didn’t get top marks so to my negative brain I failed anyway. It’s hard to win against myself, it’s a difficult battle when your opponent knows every little detail about you. So while everyone was clapping and congratulating me I was indifferent to the whole thing, which is quite sad. I’m glad it’s over but it’s very hard to be proud of myself. In terms of things that help, some days I force myself to write one thing that I should be proud of, or happy about but sometimes I forget, or feel that I don’t need to. I find this task helps me focus on the positives, and creates a challenge to those negative thoughts. These thoughts, along with my anxiety make it difficult to maintain friendships. I constantly worry that people aren’t responding to me or initiating contact because they no longer want to be friends, or because I have done something wrong even though I know this isn’t true. The same is true for blogging, I worry that what I’ve written isn’t good enough and this is reflected in my views and followers. What I will say though is that my ability to argue with these negative thoughts has greatly increased since I was younger, I am able to tell myself why these thoughts are wrong and give alternative reasons for events. All cognitive behavioural work which, as I mentioned before, comes fairly easily to me now. With hard work, exploring the past and real focus I will be able to get my depression under control. I may have bad days, or bad weeks like this one but I know that there are better days out there so I pick myself up and carry on. My anxiety is another issue, I can’t be around large groups of people and I find it difficult to talk to a stranger face to face. Public transport is a minefield for panic attacks. I have managed to get my anxiety under control in that I can stop a panic attack fairly quickly using breathing techniques and focusing on sensations around me in order to ground myself in reality. I’m sure those of you who have experienced similar things would recall your first panic attack. Mine occurred on a busy Saturday in town, I thought I was going to die and I had a series of attacks over the course of the day because I was panicking so much about what was happening to me. I felt like I was in an alternate reality, I had an outer body experience and thought I would be able to walk though people which resulted in me bumping in to a few angry shoppers. It’s only within the last couple of years that I have been able to stop the panic reaching its full manifestation, which is obviously an improvement. However, I always worry that my anxiety will prevent me from having a proper career. 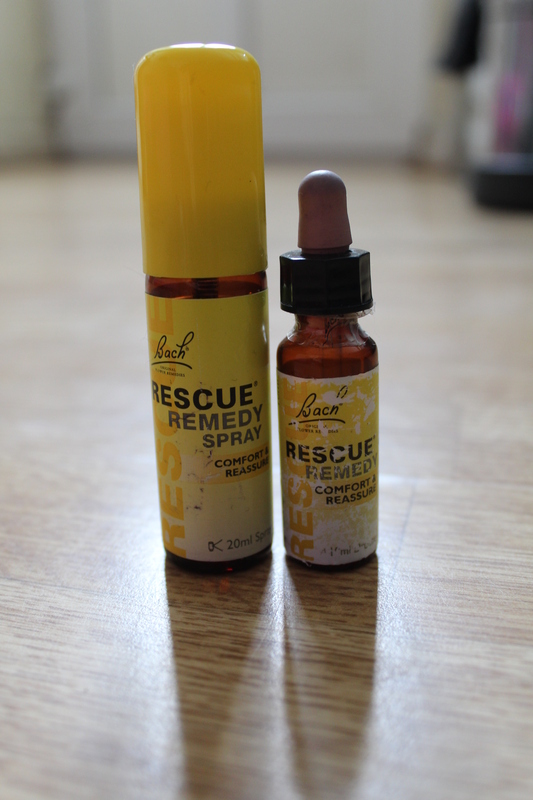 Now onto the review, a product which helps me calm myself in times of worry, Rescue Remedy. This blend of extracts is designed to instill calm in stressful situations and enable focus and relaxation. I love it because it comes in little bottles which can easily be carried around to use anytime. The extracts which Rescue Remedy contains are; impatiens for alleviating impatience and stress, star of Bethlehem for trauma and shock, cherry plum for gaining control over one’s thoughts and actions, rock rose for alleviating panic or terror, and clematis for grounding oneself in reality. I understand that these descriptions, a summary of the information on their website, sound like fluffy Buddhist or counselling terms but this stuff really works. I don’t think of these supposed effects when I use the product, I just know it helps me calm down when I’m anxious. It’s an almost instant effect and that’s really what you need in situations which you feel you are losing control over your bodily or mental state. The two types I have tried are the 20ml spray (I paid £7.30 on Amazon, Holland & Barrett stock this for £10.69, as well as a 20ml night spray for £9.99 and a 7ml bottle for 7.25), and the 10ml dropper bottle (I paid £3.29 for this on Ebay, Holland & Barrett stock this for £7.99, or a 20ml bottle for £9.99). Of the two bottles I have tried I would say the spray bottle is easier to use and draws less attention, as someone who becomes very aware of other people’s gazes when they are anxious this is a factor in what product I would rather use in public. Using the dropper in front of other people can raise eyebrows as I can only assume they think it’s some sort of drug, whereas the spray could be someone just freshening their breath. Apart from that the taste is the same, the 20ml spray has obviously lasted longer than the 10ml dropper due to the size difference. I would also advise having a drink to hand as the alcohol in the liquid can smell quite strong on the breath, not great for interviews! In terms of other varieties of Rescue Remedy, Holland & Barrett stock pastilles however these are not vegan due to their coating containing beeswax. Additionally the melts are contained in a fish gelatin capsule, so they are not vegan either. Finally, there is a pack of spearmint gum and I am unsure if this product is vegan or not. Really interesting post. I’ve often wondered about Rescue Remedy, as I’ve heard it’s quite popular. Thanks also for sharing your personal story. Really great post, thanks for sharing, as awful as it is it’s nice to know when someone is experiencing the same thing as you!